If you are a pressed flower lover, and garden with posies intended to become subjects for your flower presses, consider creating a flower farm in an out of the way spot in your yard. A repeat blog post of a good idea. I love my gardens, and I love pressing flowers, within that statement lies my dilemma. If I pick from my gardens too extensively, I lose the appeal of their mass of colors. I’ve learned over the years to grow the flowers I press in separate containers in an out-of-the-way place. When I grow my pressed flowers this way I can lift the containers onto my potting bench for easy picking, and my gardens don’t begin to look like lush foliage without bloom. 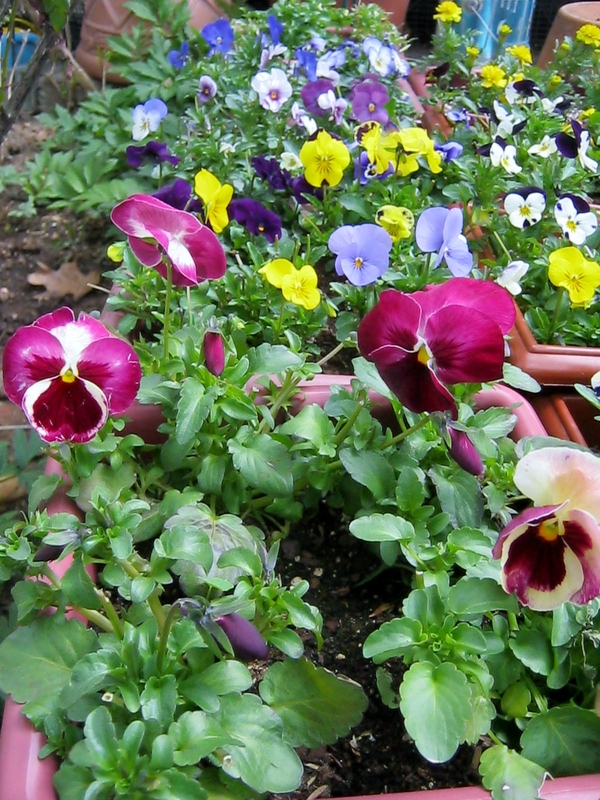 The flowers planted in containers also gather less soil on their petals in rainstorms or heavy winds. I buy most of my containers at the dollar store and fill them with inexpensive soil. They do great and having them all in one area saves time too. And may the season surround you with happiness and good cheer. Thank you so much for your beautiful Christmas Blessing. I wish you peace and goodwill too…always.